These brownies can be plated as an elegant dessert with homemade chocolate and caramel sauce, or simply eaten with a cold glass of milk - either way, they are some of the most decadent brownies you will ever taste! My mom got the recipe for "Bodacious Brownies" from a magazine years ago and we've been making them for special occasions ever since - even won a baking contest with them. Enjoy! Microwave the first 3 ingredients (4 oz unsweetened chocolate, 4 oz semisweet chocolate, and 1/3 cup butter) in a 1-quart microwave safe bowl 2 minutes or until melted, stirring every 30 seconds or so. Cool. Beat the cream cheese and 1/4 cup butter at medium speed with an electric mixer until creamy. Gradually add 1/2 cup of sugar and beat well. Add 2 eggs, one at a time, and mix until blended. Stir in 1 teaspoon vanilla, then fold in 2 tablespoons flour and 1/2 cup chocolate morsels. Set aside. Beat remaining 4 eggs in a large bowl. Gradually add remaining 1 1/2 cups sugar, mixing well. Add chocolate mixture and 2 teaspoons vanilla and beat until blended. Combine 1 cup of flour, baking powder, and salt. Fold this flour mixture into chocolate batter and stir in remaining 1 cup chocolate morsels. Set aside about 3 cups of the chocolate batter. Spread the remaining chocolate batter into a greased 13x9-inch pan. 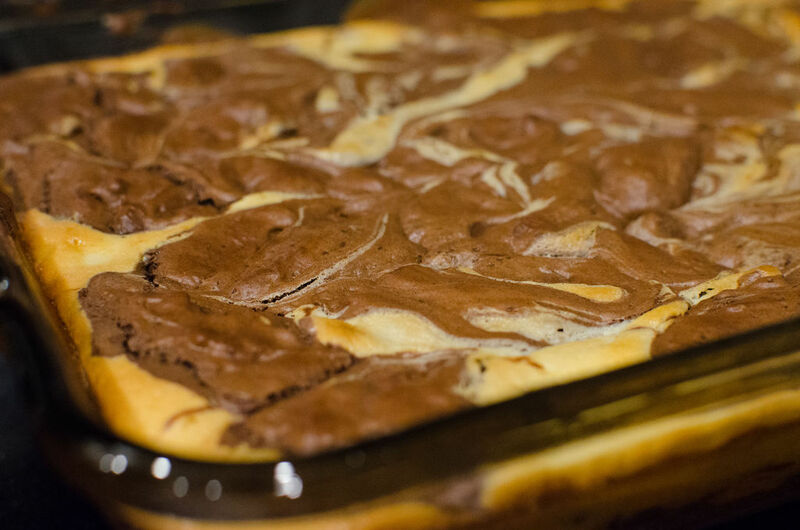 Pour the cream cheese mixture over the chocolate batter. Top with the reserved chocolate batter and swirl with a knife. Bake the brownies at 325 degrees for 40 to 45 minutes, or until a wooden toothpick inserted in the center comes out clean. Be careful not to overcook these brownies! Melting chocolate can be a bit tricky, but be careful to follow the instructions and this recipe should work out well for you! Step 9: Plate Your Masterpiece! Of course there's no right or wrong way to plate this dessert - no matter what you do, it will taste amazing! 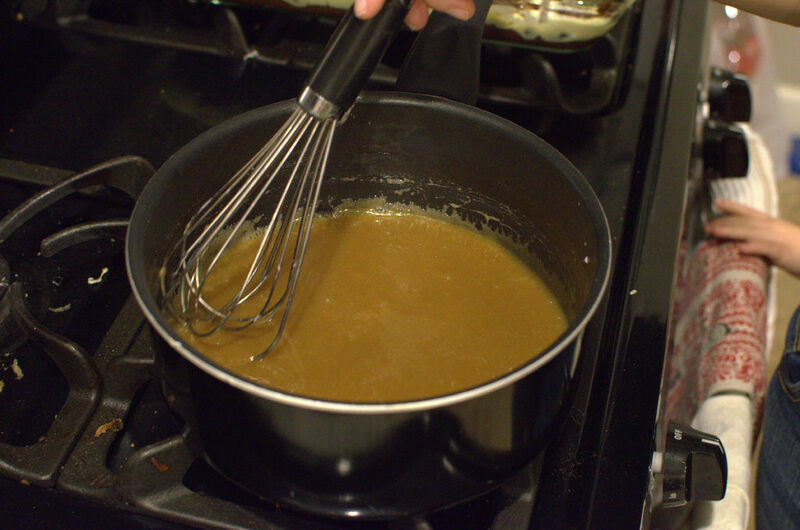 Start by spooning a generous amount of the caramel sauce into the dish. Place a square brownie on top of the caramel sauce. Use a syringe or dropper or whatever you have lying around to make small chocolate dots around the brownie. Next, run the tip of a toothpick through the center of all the dots, making a circle around the brownie. This will create beautiful heart shapes in the chocolate! Finish with a scoop of vanilla ice cream on top of the brownie, and add some chocolate shavings on top (because you can never have too much chocolate)! Can't wait to make these, you've convinced me thanks. Can almost smell the chocolate! I love the presentation, too. I don't believe that I have ever seen a brownie look so elegant. Great job.